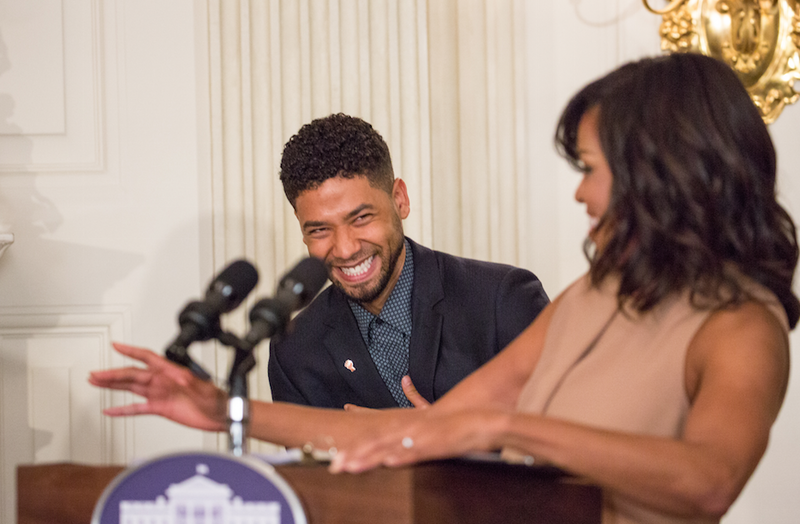 Actor Jussie Smollett is said to have repeatedly lied to authorities and then continued to perpetrate a dangerously divisive hoax via an all too willing media. So says a grand jury and the Chicago police. So why was the entire 16-count grand jury indictment suddenly and shockingly dropped today? The Chicago police are outraged. The Chicago mayor is outraged. Even many on the left are outraged. Who has the power/influence to make such serious charges magically go away and then have the records of the case sealed on the orders of a Chicago judge? Well, today we see what might be the beginnings of yet another Obama-related scandal. Below is a leaked text message from Obama aide Tina Tchen and prosecutor Kim Foxx (who is also very close to Democrat presidential candidate, Kamala Harris) in which Tchen is directly acting as an advocate on behalf of Smollett. 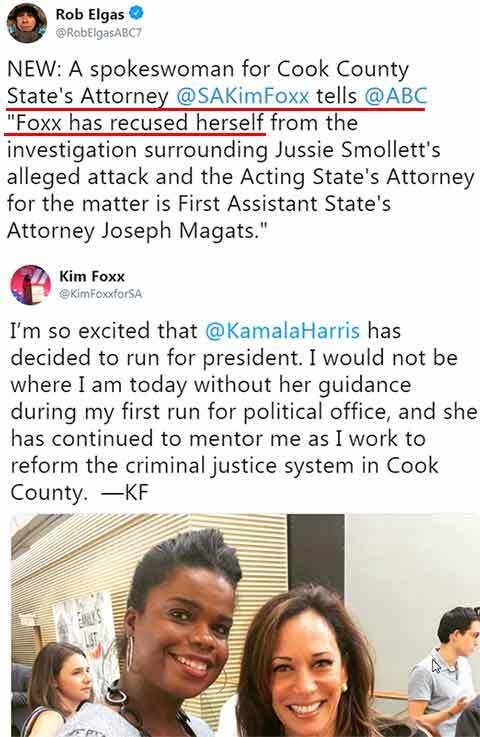 While it is true Kim Foxx announced she had recused herself from the case last month due to a conflict of interest, it was her office that then went ahead and dropped the case which was then also promptly sealed. Something certainly appears very fishy here even as a growing number are calling for an independent investigation into how this highly unusual decision was reached.